Since a takeover is in progress it would be good if no news comes out of it while the two parties are negotiating. So by its very nature, trying to report on a takeover is difficult unless things are leaked to the press. That’s very much like a transfer – we would be happy if we are completely surprised when Newcastle sign a top player who we have never even be linked with. That would be a transfer done the way it should be done – with stealth. The potential acquisition of Newcastle by Amanda Staveley is critically important to the club, to Rafa Benitez and to its fans. So it’s not too much of a shock there are multiple reports on it. But it’s also difficult to know what is really going on – that’s also the truth. Fans are the most important thing to Newcastle United FC and so and here are some of what they are thinking today about the potential takeover. Generally, it doesn’t look too good. Staveley seems the type who has worked out by her valuation what the club is worth & won’t overpay. Ashley, as we know, makes up whatever figure he thinks based on nothing & won’t sell for less. After extensive and thorough research it is my conclusion that I have absolutely no idea what is going on regarding the #nufc and neither do you, frankly. Mike Ashley will only sell #NUFC United to Amanda Staveley and PCP Capital Partners if they make an improved offer of around 300m. Final thoughts on #nufc takeover, if Staveley doesn’t raise offer I can’t see Ashley selling. Can only hope this is all part of a clever negotiating tactic by her rather than a game. If you believed all of these #NUFC rumours about the potential takeover of the club you will drive yourself virtually insane it’s impossible to distinguish what’s right and what’s shite at the moment just have to believe MA will do the right thing for the club and sell up. And finally a cosmic deal? It’s strange that all thes takeovers happen without anyone knowing a single thing about them, then comes the turn of NUFC and it becomes a total circus. If Ashley isn’t prepared to budge on price and PCP are also digging in then if no breakthrough Ashley will have to release funds to spend on fees or wages (loans) in January to sustain the asking price for the future. This isn’t me reading the tea leaves but simply looking to past Januarys when relegation called and Ashley however reluctantly had to release monies. Even when we went down last time he brought in Shelvey Townsend, Savait and Doumbia. OK some didn’t work but but money was spent and this time hopefully Rafa is directing and gets it right. It isn’t the scenario we want but may just provide safety net until Summer. Keep the faith. Just out of interest, anyone know who Ashley’s next of kin is? striked me.He’d have been an ideal banger of goals.Stoke fans must be either laughing at us or jumping up and down for getting 5m for donkeyloo..
Hitman for the slim one !!!!! Get on yer bowat Mike and ferkoff. A few choruses of get out of our club, get out of our club, you fat cockney so and so get out of our club, might help the job along on Saturday. Mike really dislikes that song. Any insight into the big property deal that made the club’s sale an imperative? Jesper…….. That was a Danish boat by the way just so you don’t feel I’m neglecting you. Shire, Hibbit…… Any insights to share? And, if things aren’t firmed up before January, will Rafa walk? He’s been conned a couple of times and I can’t see him buying any more promises from Ashley. Rafa will not tolerate Ashley much longer. He is a proud man obviously and has an excellent CV. Why would he put up with Ash and his broken promises when he would attract many higher profile jobs than Newcastle United. We could be in a much better position by end of January or we could be in a much worse position. If he is not sufficiently financed in January and fails to save us from relegation, he will walk at the end of the season. I wouldnt blame him one little bit. 5/1 for relegation , get £50 mill on it Amanda , get Raffa to walk and we would almost certainly be down , but the club for next to nowt and use the rest of your winnings to re hire Raffa and give him the rest of your winnings to get back up !!! All prey for the slim one !!!! So nothing horrible like death happens !! I think if we can get 4 points in the next 2 games I think everyone would calm down a little fans included the problem is Leicester and Everton have much better squads on paper so we really are going to have to play to our maximum to get anything out of these games ! Could this also be the first time Allardyce has played against us with a superior team ? He usually parks the bus and mugs us with a goal but this time could be expected to turn up and play us off the park . Interesting! 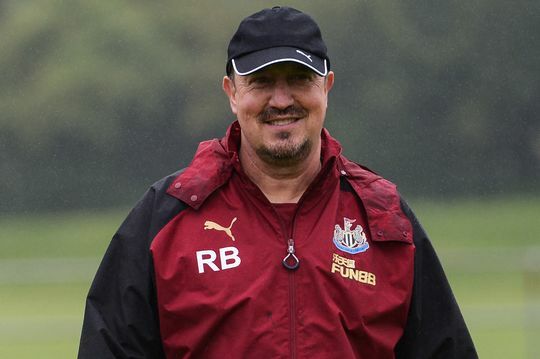 If I recall Rafa has never walked before and I don’t think he will now, I also can’t see the fat man sacking him because of the financial loss he’ll have to suffer. When we have been in dire straights before in January Ashley has paid out for players we really need an influx like when we got the 6 frenchies in a week and nearly got Remy as well ! Just shows if the club is desperate we can sign players quickly ! Looking at the above comments – looks like Indian Magpie is relying on the stars! if its true and the offer is 250 million and Ashley is asking 300+ why would anyone come in with such an insulting offer, if it was me, i would then move the goal posts for that person to 320+. I would think every man and his dog knows Ashley is a greedy Tw*t that will asset strip and still want top dollar for it, he doesnt care about the club or its fans, its an object much like a car, some will take there car for main dealer service and others will use back street garages, but they will both want top price for the car when sold, and I dont blame Ashley for this. If anyone listens to the Main stream media and believes they know whats going on, more fool them,, this is the same media that thought brexit wanst going to happen Trump was miles behind in the polls, oops wrong again, they dont have their fingers on the pulse, they live in micro bubbles, spewing propaganda. Rafa does have to get the team selection correct for Leicester they have bags of pace so no Richie at LB for a start !! There is a seller who wants sell. A buyer who wants to buy. That’s what Rafa is doing. If the reports are true that Ashley’s valuation has dropped to 300m now it is clear he wants it sold but at the same time he wants a price that he feels is fair. I’m sure the millions he’s already taken out of the club is being forgotten when he is calculating his fair price. People saying Amanda should just pay the price and get it done, you wouldn’t buy a 10K car for 15K and i’m sure she is the same. pretty sure we got a 2-2 draw at WBA, don’t remember us losing that one. It’s bad I know, but no need to exaggerate saying 6 straight losses. Your record aint changing is it. Do you actually ever listen to anyone else and retain information. Do you? because i can’t ever recall you doing so. I’ll say this one last time, although I know you wont take any of this on board, but hey ho, once again for the hard of hearing and the intentionally ignorant, here goes. No one, but no one is saying Rafa is a ”god”, is ”untouchable” and ”can do no wrong” Have you got that now once and for all ? Jeez the man himself has said he’s got things wrong. As Jib pointed out many bigger clubs could easily pay Rafa’s release clause. Ash gave your inspired choice of McLaren 80M and McLaren had the likes of Wijni, Sissoko, Townsend Janmatt etc to call on. Recently Rafa has gone 4231, 442 and played 3 at the back, so can be flexible. MBemba and Darlow have been recalled and Joselu was dropped too, while our best player Merino is half fit and our captain has been crucially injured for several games. The only one who hasn’t been played much is Mitro and if you’re pinning all your hopes on him, it’s not really a strong enough stick to continually keep beating Rafa with. You say all you do about ashley but won’t concede rafa is also a victim of Ash’s policies. Hmm seems like the takeover has got the rocks. If it doesn’t go through then my thoughts will go to how serious was PCP interest, was it a tactic to force Liverpool’s hand and she had the perfect dance partner in Ashley. Rafa won’t walk as he never has, he’s come here to rebuild his reputation which took a knock from roles with inter, Chelsea and Madrid. Napoli did well with him in charge but they’ve kicked on massively since he left. He still has work to do here and the task isn’t finished, the big test is can he keep us up with little investment in Jan? …and our own ITKs have insinuate that Ashley in fact has to sell! Our Toon…I don’t think I get your post #26! Head is boxed in this morning with this takeover chat. Guess the point I was trying to make is she’s failed twice with Liverpool bids and apparently Liverpool is the club she wants and according to the sky commentators she is a Liverpool fan. How many of these clubs that pay his release clause are in the UK? and how many are within a short drive / helicopter trip from his family? He himself stated that he wasnt looking for a club outside the uk so it kind of narrows his options down a lot.”and like i have said many many times , just because i think he could be doing better, i still think we have a good coach. So Ashley didn’t spend because he knew he had the January window. Jeez, so he’s gambled again because EVERYONE knew we needed a striker etc otherwise we’d struggle. Now we’ll struggle to get one in January another panic buy in desperation. Common sense would say spend money in the summer as it’s easier and you’re less likely to struggle. Bare minimum man should be on Ashley’s grave. As I said he spends when he has no choice!